Love the bright colors of this page and that large B & W photo! Very fun and colorful! 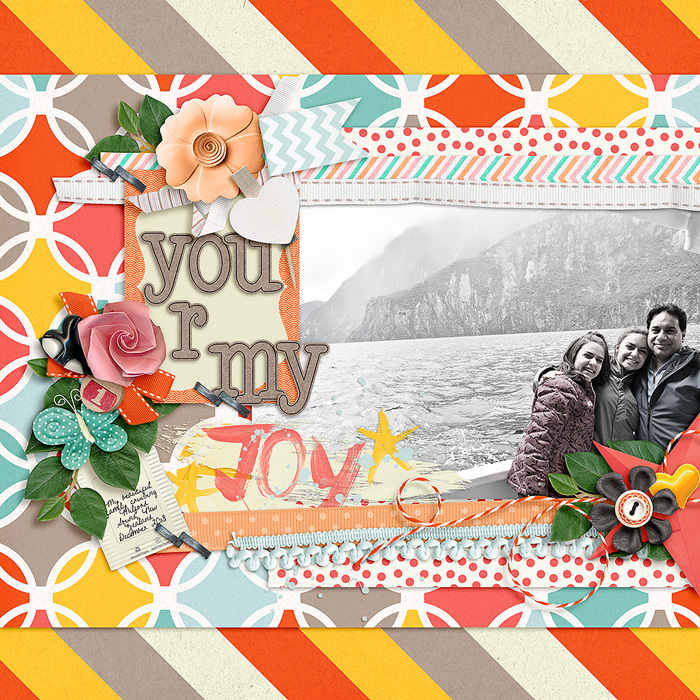 LOVE the pops of colors with your photo - a sweet and bold page! love the title work! love the black and white photo with all the ribbon strips!